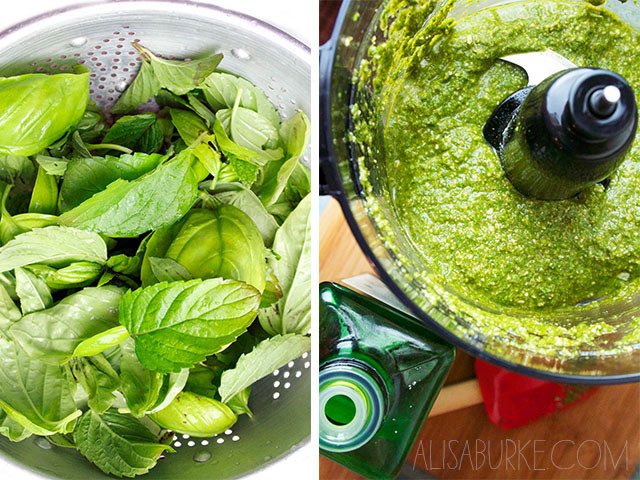 Our garden is growing and we have more basil and mint than I know what to do with so I have been making fresh pesto with the two together- the mint adds a little extra zing to the pesto! The flavor is refreshing the perfect summer flavor! Blend ingredients together in a blender or food processor. Fill an airtight jar and store in the refrigerator for up to a week. 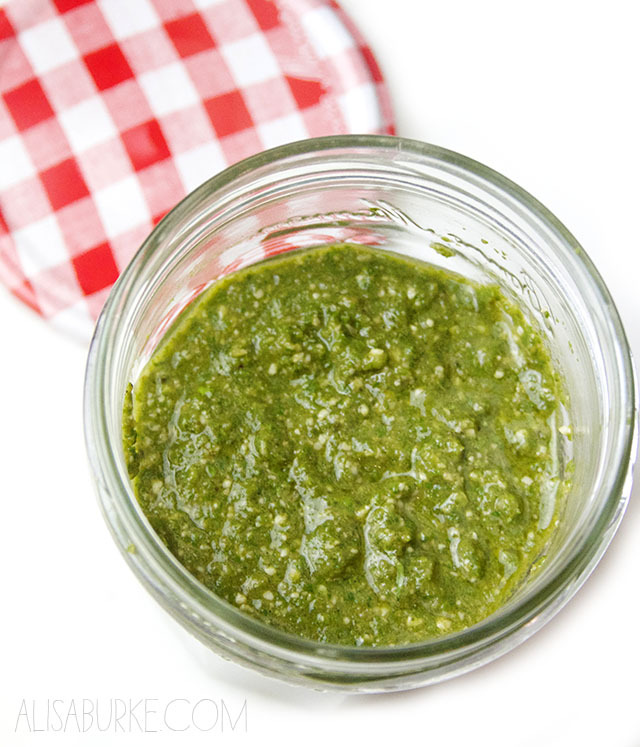 We like adding it to pasta, salads, using it as a marinate or even as a spread for bread. 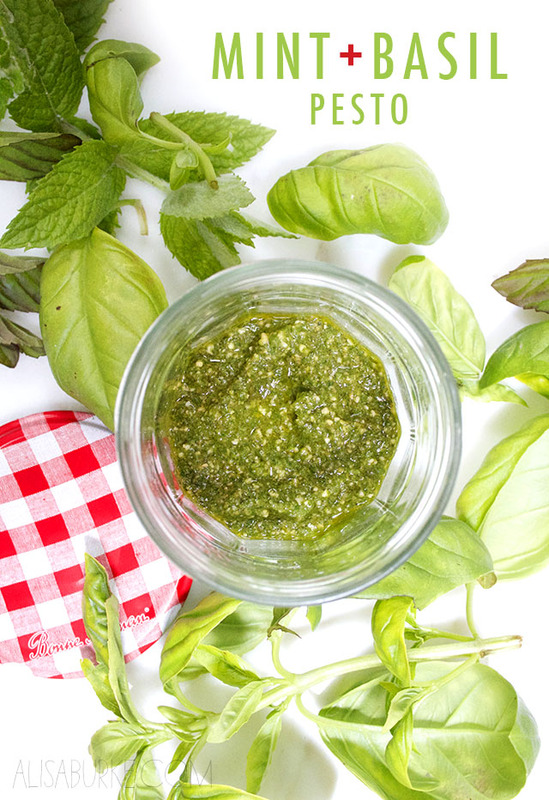 That little bit of mint adds such a fresh flavor that is perfect for summer meals! Looks delicious! And I have a garden box full of mint and basil so I'll definitely have to give this a try - thanks! 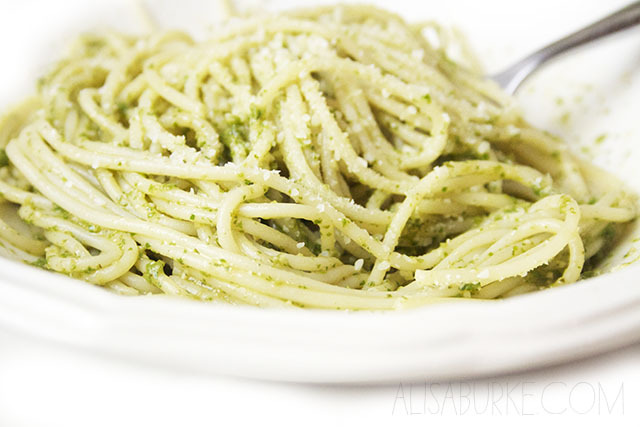 even your pasta/pesto looks extraordinary! Wonderful photos......and a lovely recipe I look forward to trying. Beautiful pesto. You can use almonds or pecans instead of pine nuts. And we freeze some of our basil to make pesto later. Getting hungry.